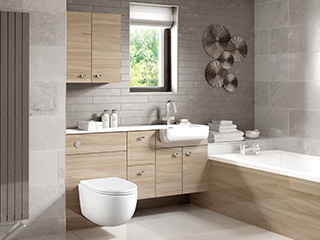 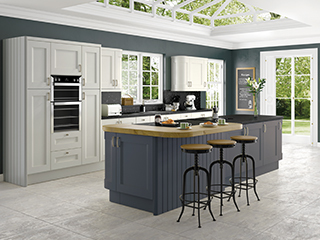 At KitchenWorld, we don't just build you a new kitchen, we can also design and install new bathrooms and bedrooms. 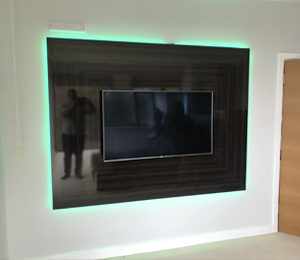 To get the design as you want, we involve you throughout the process so you know what you're getting. 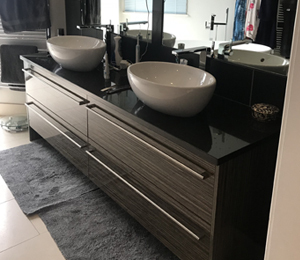 For this project, we were asked to redesign a bedroom and bathroom in the same style for a customer. 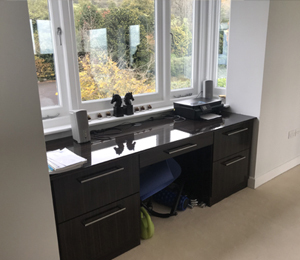 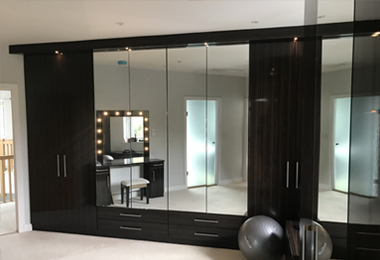 With the bedroom we designed and installed a new wardrobe with built in mirrors, installed a new desk and installed a new back board to the tv with built in lights. 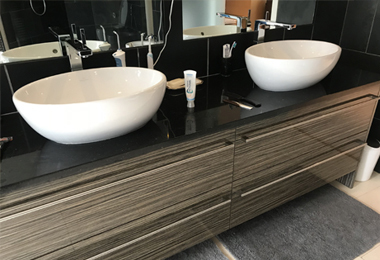 For the bathroom, we redesigned the sink and installed a new double sink with drawers underneath.